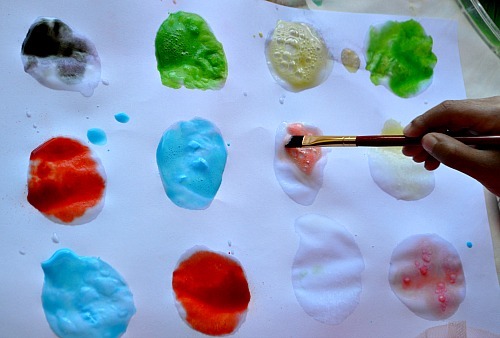 Make sweet smelling homemade paints and then make them fizz. 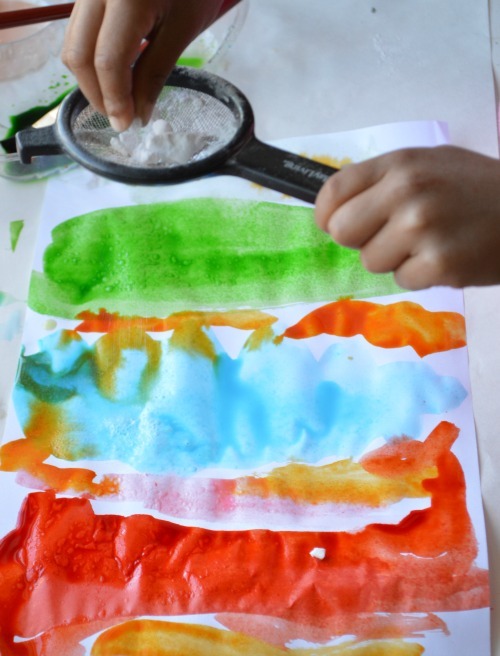 Easy art activities for kids that will “wow” them! The best part? you may have all the supplies in your kitchen. This post may include affiliate links. If you choose to shop through these links, I will receive a small monetary compensation. Thanks for supporting the blog! Kool-Aid is a flavored drink mix that come in small packets/envelops/sachet. The above link will take you to the product page where you read more about the product. 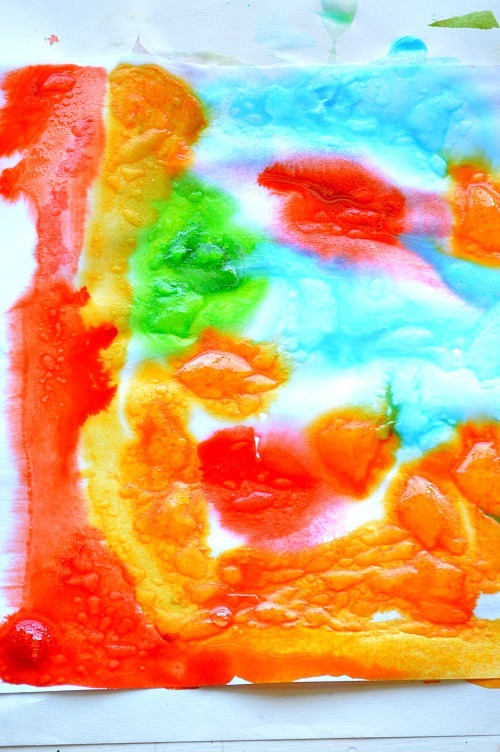 Empty the Kool Aid powder in cups and add just enough water to make watery “paint”. The fragrance is just too good and your kids will be eagerly awaiting to dive in and paint with this kind of paint. A good break from the usual washable Kids Paint , don’t you think? Use watercolor paper or any heavy paper like card stock paper. 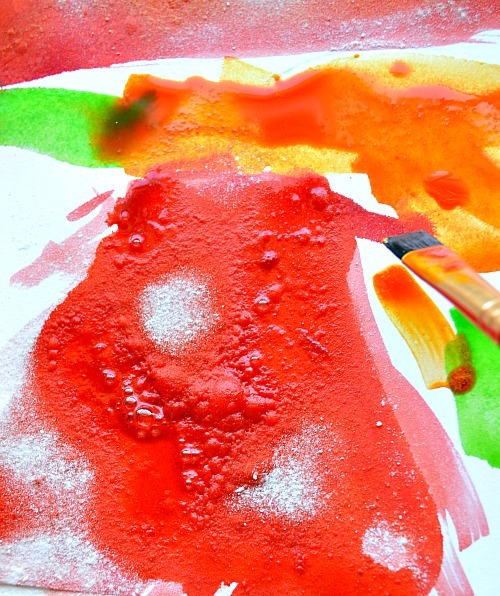 Time to paint – paint with homemade paints! 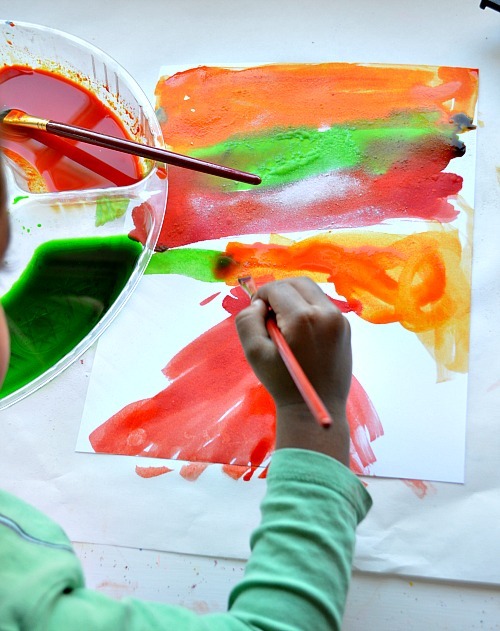 Once the child is satisfied with the art she created with your homemade paint, it is time to move on the most exciting part of this art activity. If you are like me haha, you will not have closed the lid on your baking soda ( bicarbonate of soda) box properly and that would have resulted in baking soda chunks. Use those soda chunks and grate them over your art! 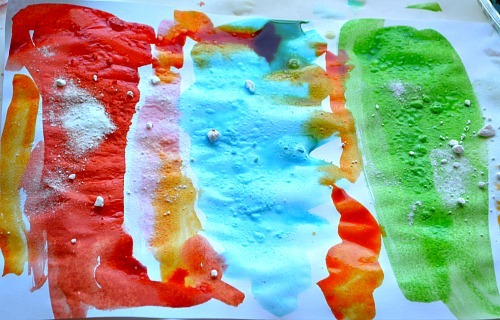 Due to your amazing “closing the box” skill if you haven’t managed to create soda chunks, then all you can do is sprinkle the baking soda over your Kool-Aid art and watch the paper fizz, bang and erupt! This really is the most fun part of this art activity. The resulting effect is gorgeous to say the least. 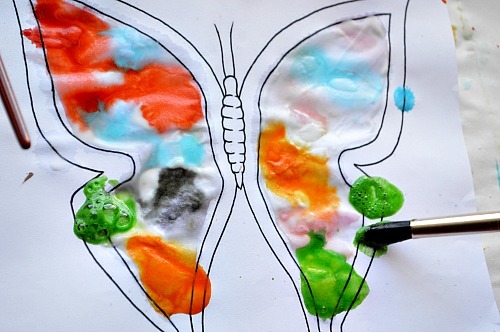 Combine the fun with the scent from the paint and texture the soda creates, you ( erm.. your kid!) can watch and do this art activity for hours! Then you dip your paint brush in your Kool-Aid paints and gently place them on your baking soda paint. The immediate chemical reaction is astounding! 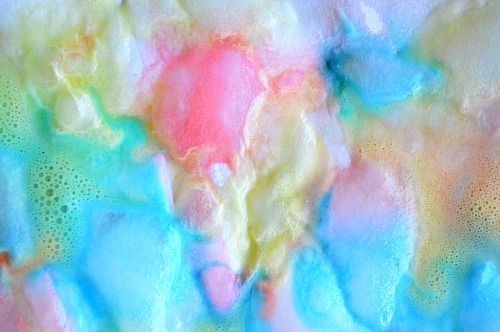 The colors fizz and spread and result is beautiful art. 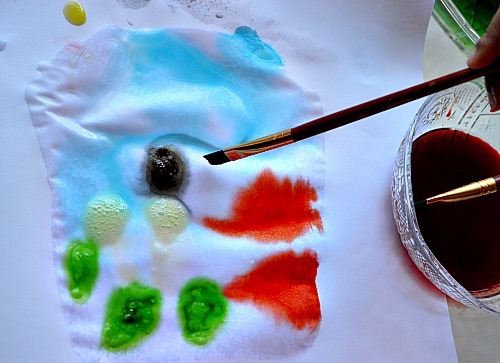 We experimented with gorgeous fizzy circles. My toddler insisted on making a fizzy butterfly. 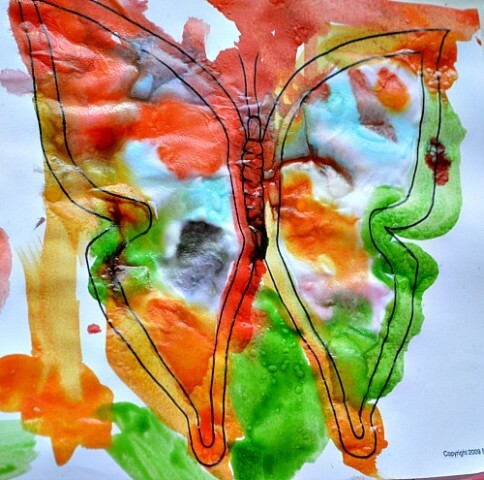 Print out a butterfly on a thick sheet of paper ( if you printer will take it) and have the child paint the butterfly with the “baking soda paint” first. Then she colors the butterfly with the Kool-Aid paint. 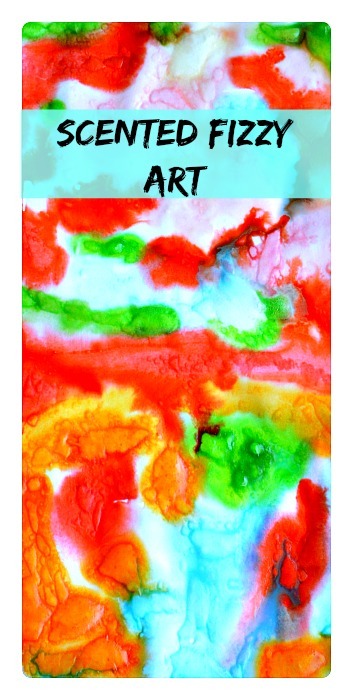 The Citric Acid in Kool-Aid reacts with the baking soda and makes those fun fizzies (resulting carbon-di-oxide) which are awesome to look at and give the art great texture. The art actually stores pretty well. 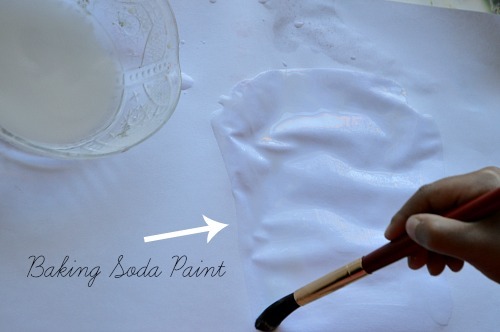 Once the art work are all dry, dust off the baking soda off of the paper and you can store them. They make great scratch and sniff art!